This year National Healthy Bones Week will run from 4-8 August. 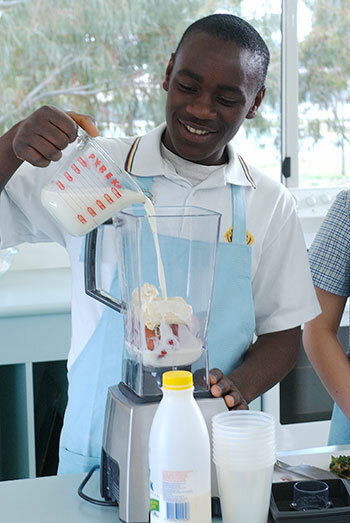 This event, run by Dairy Australia, aims to raise awareness of the importance of dairy and other calcium-rich foods in maintaining healthy bones and preventing osteoporosis later in life. A diet rich in calcium, along with weight-bearing activity such as walking, is essential for developing and maintaining strong bones. Stuck for ideas about ways to consume calcium-rich foods? There are plenty of great recipes in The Food Book that include a variety of dairy products, such as milk and cheese. For a quick meal, try making a rich, creamy alfredo sauce (The Food Book p. 243) to serve with wide fettuccini or the store cupboard classic, tuna mornay (The Food Book p. 265) – both recipes contain parmesan, which has an intense and sharp flavour. For those with a bit more time on your hands, try making some hearty and comforting fish pies with milk (pp. 272-273). Or you could make a deliciously smooth cheese sauce (p. 429) to serve over cauliflower or broccoli. If you are feeling like something sweet, custard sauce made from custard powder and milk (p. 449) makes for a simple yet sumptuous addition to many desserts. You could add it to old-fashioned winter favourites such as stewed apples (p. 324), baked apples (p. 329) or the steamed jam pudding (p. 347). What ideas do you have for ‘saying cheese’ and consuming foods high in calcium during National Healthy Bones Week? The winter chill has arrived and nothing is more comforting during the colder months than making an old-fashion pudding to warm the cockles of your heart. The dull and dreary grey days will vanish with delicious, comforting favourites like golden syrup dumplings, chocolate self-saucing puddings or the apple pie with lashings of custard and cream. 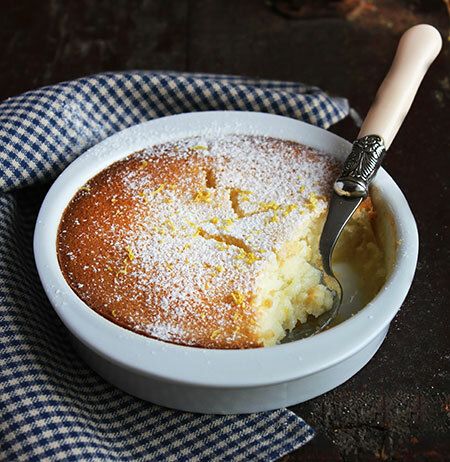 Lemon delicious is definitely one of our favourite puddings from childhood. Its layers of lemony sponge cake and creamy custard are just delicious – obviously that’s why it’s called a lemon delicious! With lemons plentiful in winter, it makes a perfect dessert (check out our recipe on p. 339 of The Food Book). However, have you tried substituting lemons with other citrus fruits such as limes or oranges or doing a mix of lemon and lime? These suggestions make a sumptuous yet refreshing change to a beautiful pudding. Also try adding 3 tablespoons of coconut with you mix in the flour for a tropical slant on the tradition favourite. What puddings make you nostalgic during winter?